In 2151, Crewman Cutler had her first away mission experience while serving in her capacity as an exobiologist; Sub-Commander T'Pol, Enterprises Vulcan science officer, specifically requested her presence and participation to explore and evaluate a recently discovered class M planet later known as Archer IV, as the planet had a "diverse insect population." Cutler explored by herself for the duration of the mission, and was prompt in returning to the shuttlepod at the end of the mission. She remained on the planet at T'Pol's behest for what was to be the remainder of the day and the upcoming night, to continue her studies. Cutler was exposed to and soon fell under the effects of airborne tropolisine, as were all personnel that remained on the planet. 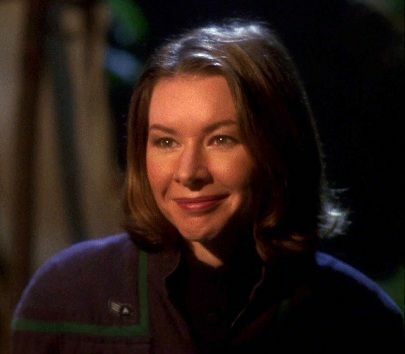 Fortunately, unlike crewmates Ethan Novakovich and Commander Charles Tucker III, Cutler was not profoundly psychologically affected by the compound and did not endanger her own life before being successfully treated by Doctor Phlox. Later that year, in her expanding capacity as an in-training medic, Cutler accompanied Phlox to the surface of the planet Valakis to assist in the attempted treatment of one of the planet's indigenous species, the Valakians. While planet-side, Cutler and Phlox studied the physiological differences between the Valakians and the Menk (the Valakians' co-evolvants) to discover the key to why the Valakians were susceptible to and subsequently ravaged by an apparent virulegenic pathogen, when the Menk were not. While Cutler appeared to appreciate and relish the work she was performing on Valakis, she was troubled by what she perceived to be the exploitation of the lesser-evolved Menk by the Valakians. In mid-to-late 2151, while beginning her training under Phlox as an interim medic, Cutler began to exhibit romantic interest in her alien tutor. She frequently accompanied the doctor to movie night, inquired into his personal life, and frequently found excuses to be in close proximity to him. It was while on her mission to Valakis that Phlox confronted Cutler with the advances she had been making and made her fully aware that not only was he already married, but to several Denobulan women, each of whom was married to multiple Denobulan men, as is the custom on his world. While surprised by Phlox' admission to his culture's polyamorist nature, Cutler took this information well and surprised Phlox by her insistence that this cultural divide neither bothered her, nor did it dissuade her from pursuing her burgeoning friendship with the doctor. Continuing to serve in the position of an interim medic, in February 2152, Cutler assisted in the initiation of Phlox's yearly hibernation requirement while the crew partook of shore leave in orbit of Risa. She was to assume the role of Chief Medical Officer in Phlox's stead, and was entrusted this position as a result of her continued training as "a capable medic." The proceeding day, however, while attempting to treat an injured Ensign Travis Mayweather, her limited medical training was exhausted when it became evident that the Risian painkiller was inducing an anaphylactic reaction in the ensign that was beyond not only her experience, but that of T'Pol, who was the acting captain. Cutler and T'Pol were forced to wake Phlox from his hibernation to seek his counsel. After much coaxing, the doctor made his way to the sickbay to assist Cutler in treating the ever-worsening Mayweather, but Phlox was certainly not performing at his peak, having been interrupted mid-hibernation. After a few false starts and miscommunications, Cutler was able to both understand and apply the treatment that the patient required. In 2153, Cutler was apparently working in the exobiology lab when she suffered a broken arm due to a manifested spatial anomaly (which was the result of Enterprise's voyage through the Delphic Expanse). When the Enterprise crew was transferred to the Defiant class USS Archer which did not have a science staff Cutler elected to become a Med Tech in order to remain with Phlox.